<+SamuraiKale> Hi, everyone! My name is Kale Stutzman and I’m the owner of Samuraifight LLC. We’re doing a Kickstarter right now for a complete new game called Master of the Rogue Spire. 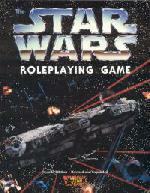 As much as I liked the Star Wars movies, I’ve always shied away from the roleplaying game. I suppose I felt that, in the words of a friend, it’d be like “playing in someone else’s back yard”. 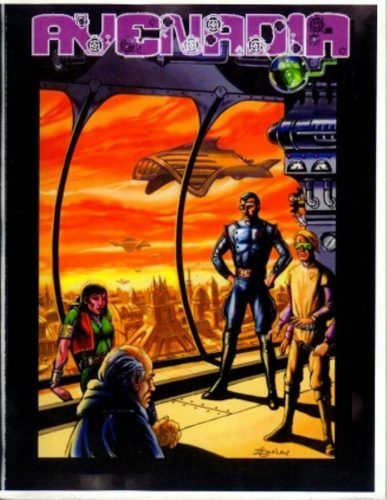 But, after unsuccessfully trying to buy the second edition dirt-cheap on eBay, I figured, “Eh, what the Hell – let’s do this right!” So, without further ado, here’s my review of Star Wars: The Roleplaying Game, Second Edition – Revised and Expanded. <+TGI-Dragonfly> Hey! Yes, I’m back. Got distracted by my 11 month old. <+jeremyTangman> My name is Jeremy Tangman and I created a tabletop Steampunk rpg caled Avenadia. <+jeremyTangman> Its a Steampunk rpg in which the world has fought back against its inhabitants in way of contamination. everything was contaminated most died and others mutated to survive. <+jeremyTangman> So the survivors are left to creat a new society and caste system. <+Ed_Jowett> Hi everyone, I’m Ed Jowett from Shades of Vengeance. It’s a pleasure to be back once again to talk about another of our amazing games! <+Ed_Jowett> I’m the lead game designer of SoV and I’m here today to talk about Era: Lyres – specifically the Definitive Edition Rulebook, which is currently on Kickstarter for the Make100 initiative. <+Ed_Jowett> Era: Lyres is a game about being an adventurer in a fantasy world. <+Ed_Jowett> More precisely, it’s about NOT being an adventurer in a fantasy world – adventuring is dangerous, unsanitary and often boring! <+Ed_Jowett> But adventurers get a lot of gold and glory when they return from their quests. <+Ed_Jowett> So how do you get the gold and glory of being an adventurer without actually risking your life? <+Ed_Jowett> Simple! You become a Lyre. Lyres tell stories of their “amazing adventures”, which “totally did happen” to eager audiences in Yarnolth. <+Graham_ArionGames> I am Graham Bottley, founder of Arion Games. So the other day I’m sitting at my desk, just mindin’ my own business, when this fella in a black duster carrying a flaming sword steps outta this black cloud that smells like rotten eggs. “You could at least say ‘excuse me’,” I says. He points at my desk, and a rulebook called Wicked Pacts appears. Out of a cloud of black smoke that smells like rotten eggs.